Here's my review for the previous Vanity Trove box of goodies! Here it is, the May edition for Vanity Trove beauty boxes. Themed as Awesome Wholesome, you'll get to know why soon. I am always so ever in love with the packaging. Firstly it is sealed with a plastic wrapper, protecting the box and all of the products inside. I mean hey, these Vanity Trove boxes are a keeper, with a sliding out drawer, there's so many room for DIY ideas! Lazy? You can even use them to store things. 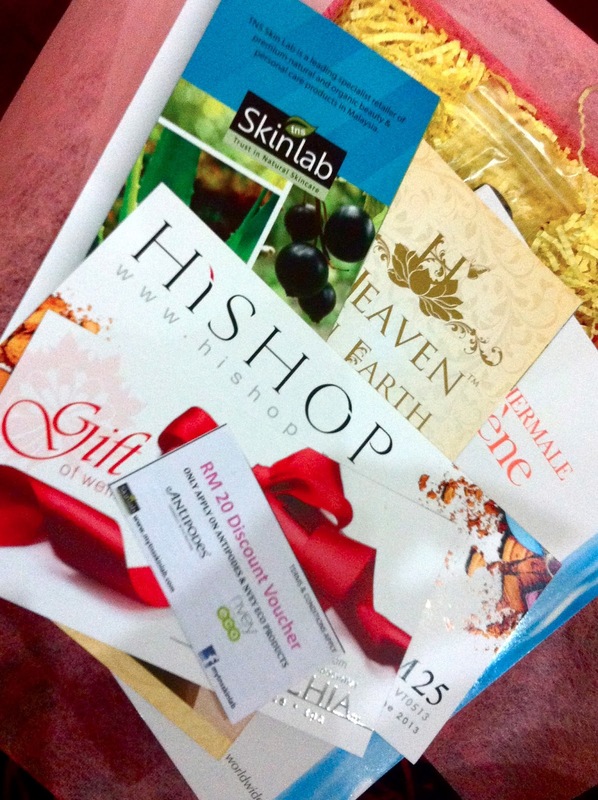 Anyways moving on, after unwrapping the box I came across these vouchers from Mary Chia, Skinlab, The Beauty and Slimming Specialist and Hishop. 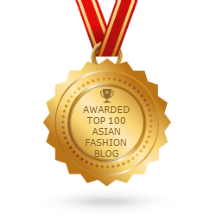 The vouchers already made a sum of RM45+ discounts and such. Then there's the mini booklet which provides more information regarding the products in the beauty box. Now let's look at the products! 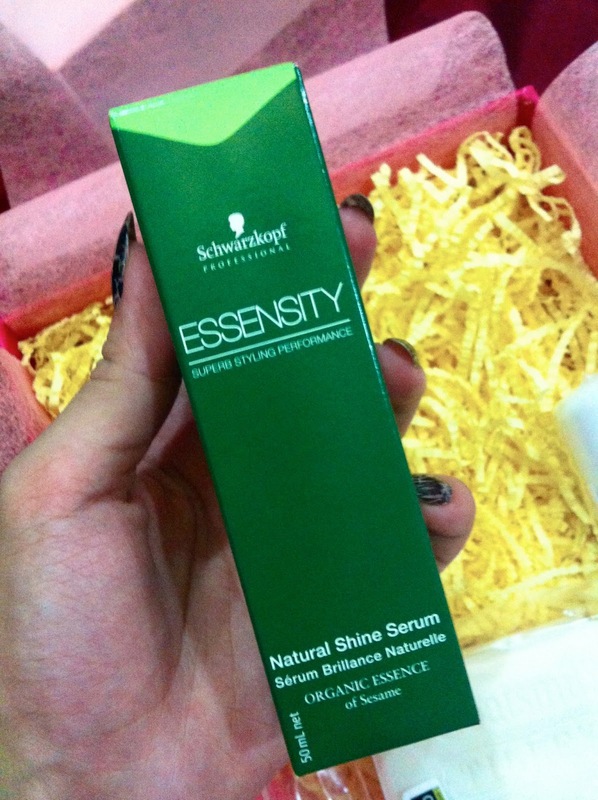 This lovely serum smoothes hair making it shine! Containing organic essences such as sesame and olive oil to improve the quality of hair texture for easy maintenance! First and foremost, I love the size of this! I can easily fit it in my purse and bring it anywhere with me. So good for a pick-me-up spritz! 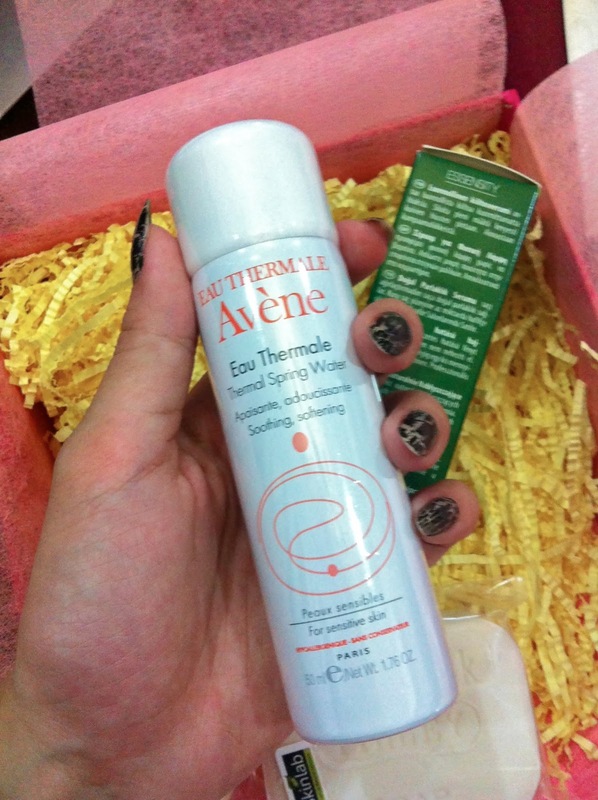 I've always been a fan of this brand as Avene Spring Water has been proven that it is promotes skin-soothing and softening benefits. I've always been a fan of goats milk and its benefits. Not only it softens the skin, it also generates thorough cleansing without drying out the skin. This soap not only has goats milk in it but is also infused with Organic Jojoba Oil, Organic Cocoa Butter and also Organic Shea Butter. I love the smell of goat milk so I was pretty stoked about this lotion as I've never tried goat milk lotion. Scented with Australian plan extracts and pure essentials, the vitamin A and D-rich lotion is effective for treating dry and distressed skin conditions. 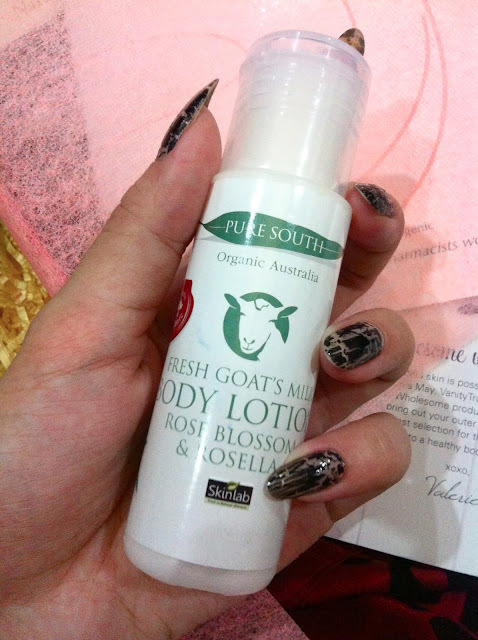 The lotion also contains rose oil and Rosella extracts that stimulate metabolism for optimal skin cell renewal! 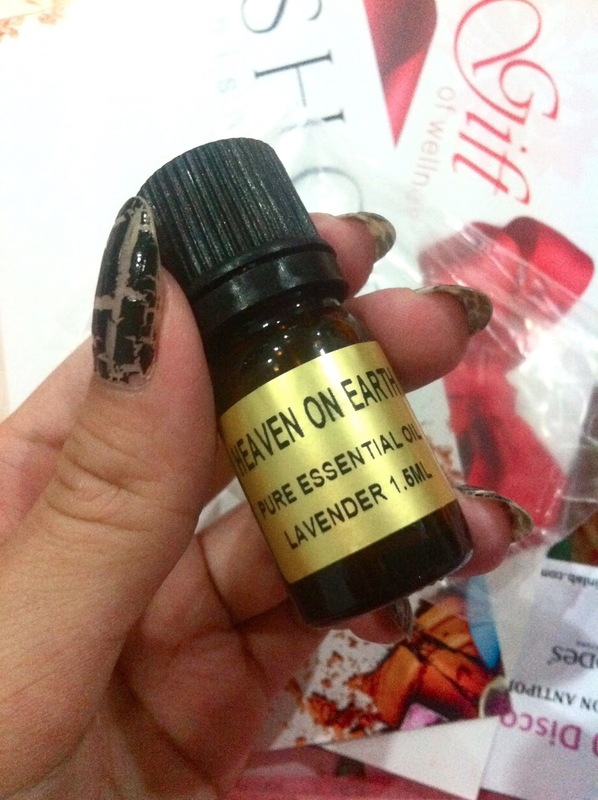 The essential oil is made of steam distilled Lavandula Angustifolia flowers of a French origin. It can be inhaled or applied on the skin to promote sleep, balance and tone skin, reduce anxiety and aches, sooth insect bites and provides a relaxing and soothing inner calm. My verdict : This months box is definitely worth every single penny! Not only do the products sum up to be worth more than what you're paying but every product is either made of organic products which is really really good, and also expensive but also, almost all the products are really useful! I love the face spray and the essential oil. Love how I can keep my skin moisturized on the go, and how I smell like Lavender every night before I sleep. 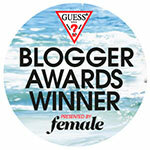 Can't wait for the June edition of Vanity Trove box set with the theme "Obsessive Beauty"!.